Size of this preview: 428 × 599 pixels. Other resolutions: 171 × 240 pixels | 343 × 480 pixels | 654 × 916 pixels. 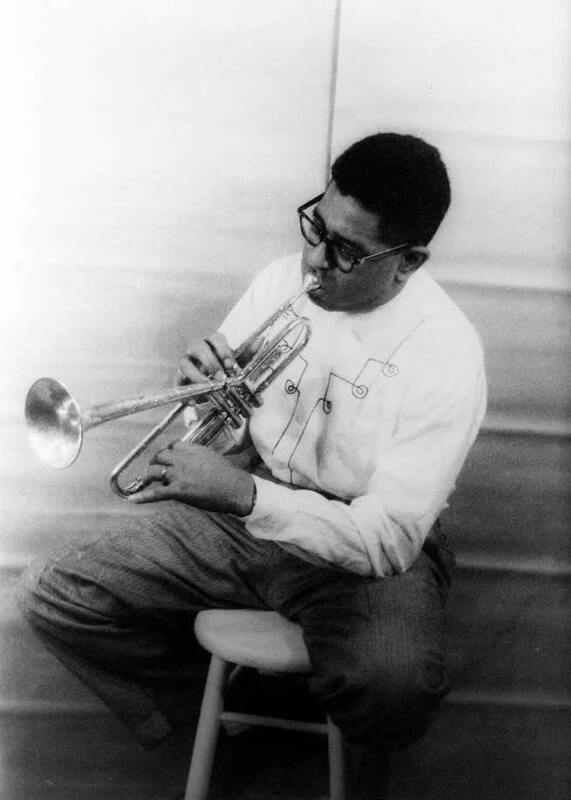 Portrait of Dizzy Gillespie (John Birks), 1955 Dec. 2. Full-length portrait, seated, facing left, playing horn. Prints and Photographs Division, Van Vechten Collection, reproduction number LC-USZ62-102156 DLC (b&w film copy neg. ).